New Single!! New Video!! New Shows!! 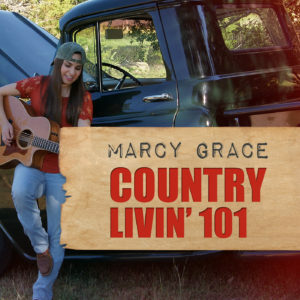 Gosh guys, I am so happy that everyone is loving our new single Country Livin’ 101! We are back on the Texas Regional Radio Charts and rising up! Thank you to everyone for their support and to radio for playing my song!! So excited for the future! If you haven’t seen it, check out the Official Lyric video below! Also, it has just been announced that the Marcy Grace Band will be playing every Thursday in October at Pat Green’s, The Rustic in San Antonio!! Brand new location and it will be hoppin’! Come on out and enjoy the new venue and listen to the band! I will be so happy to see you guys there! See my show dates and details here. Soon I will be announcing a contest on my instagram for a chance to win free Marcy Grace merch!! Be on the lookout! Until then, God bless eveyone!